In the past weeks, North and South Korea each have dismantled or disarmed 11 of their border guard posts as part of agreements to reduce tensions that were reached during their leaders' summit in Pyongyang in September. 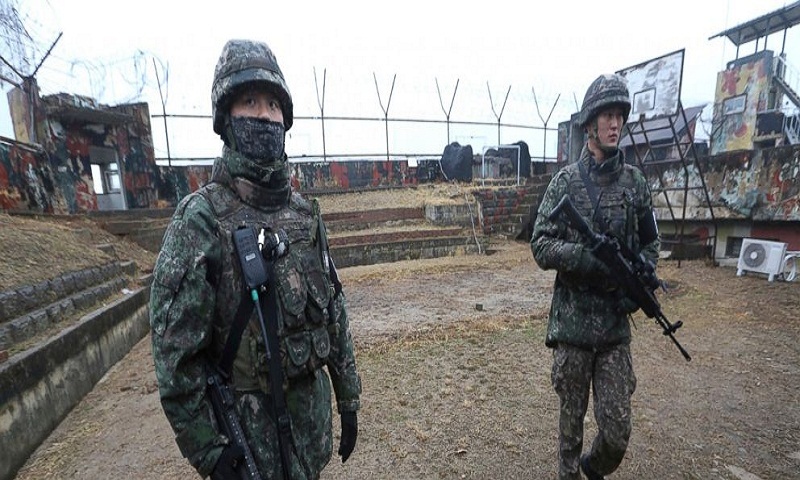 Vice Defense Minister Suh Choo-suk told reporters that the two Koreas agreed to conduct one-day mutual verification on the sites of the guard posts next Wednesday. He said the Koreas will each send 11 military inspection teams to the other's 11 sites. The dismantled or disarmed guard posts were located inside the 248-kilometer (155-mile) -long Demilitarized Zone, the strip of land that bisects the Korean Peninsula. Unlike its name, it's the world's most heavily fortified border strewn with an estimated 2 million land mines and has been the scene of numerous cases of violence and bloodshed. Under the September agreements, the Koreas have also taken steps to demilitarize the shared border village of Panmunjom inside the DMZ, halted live-fire drills along the border and have been removing mines to conduct joint searches for Korean War dead. These steps have triggered a fierce backlash from many conservatives in South Korea, who argue that South Korea's liberal government led by President Moon Jae-in should not have agreed to such conventional arms reduction programs at a time when North Korea's nuclear threats remain unchanged. The latest removal of guard posts would leave South Korea with about 50 such DMZ posts and North Korea with 150, according to defense experts in South Korea. U.S.-led diplomacy on North Korea's nuclear program has produced little headway in recent months as skepticism grew over North Korea's vague commitment to nuclear disarmament.